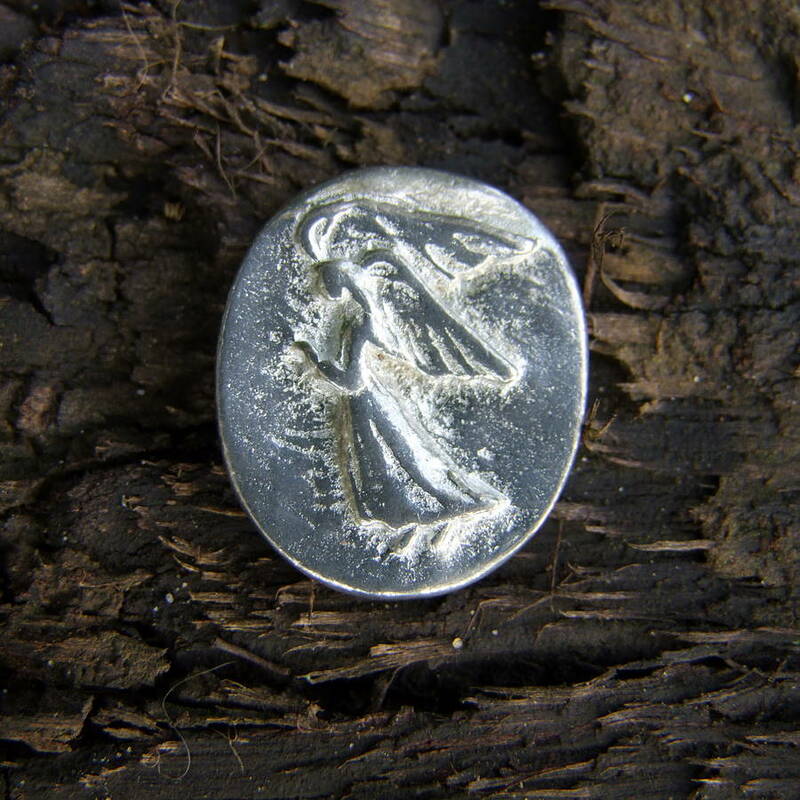 A miniature angel, for well being, good luck, support and guidance. 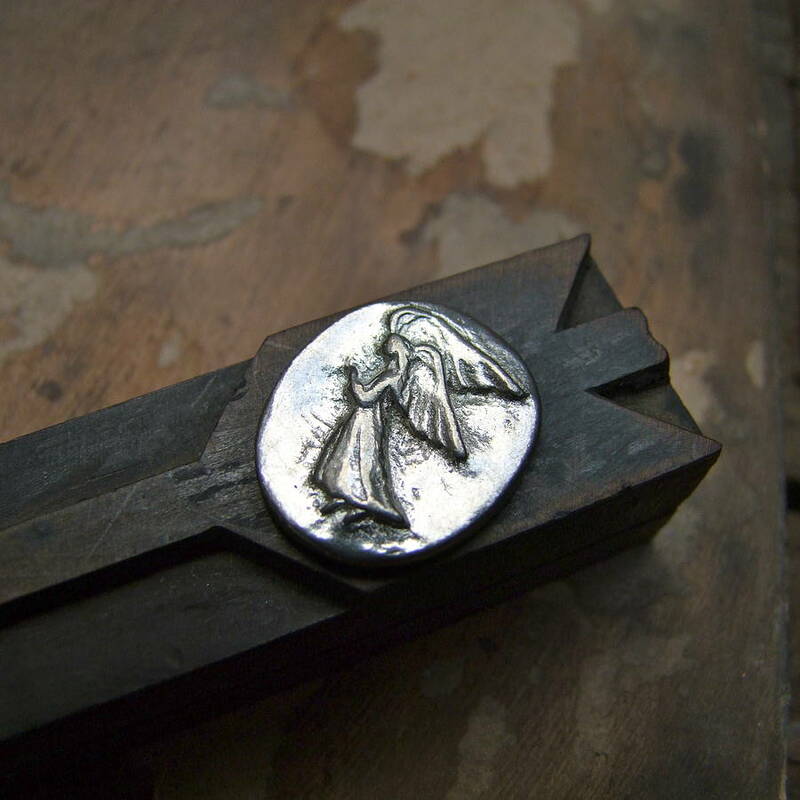 Perfect message token for a Christening or bridesmaid present. An endearing gift from a Godparent, or for somebody who is travelling or leaving home. 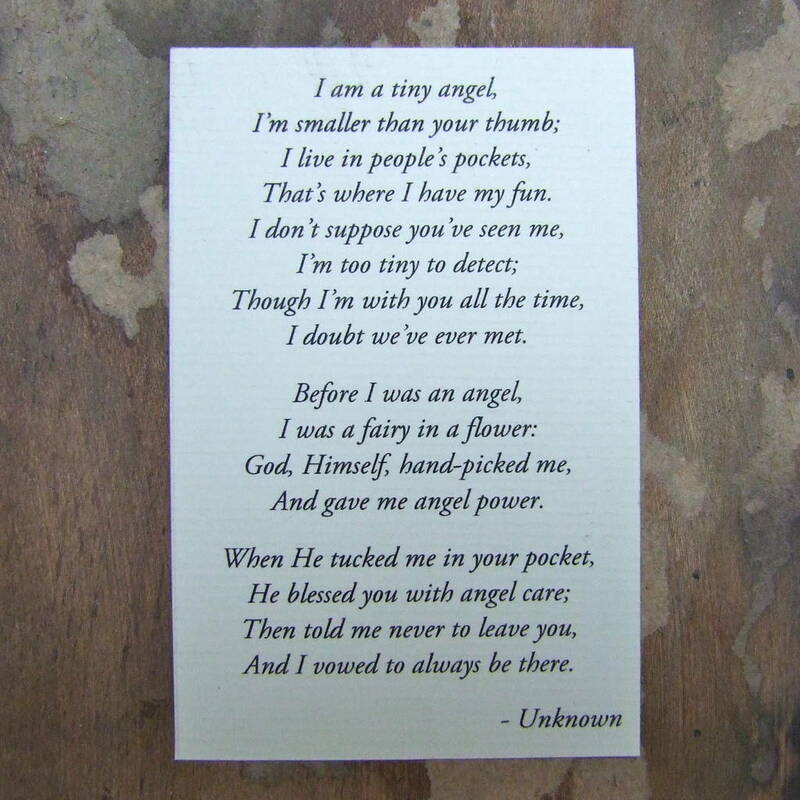 "I am a tiny angel, I'm smaller than your thumb, I live in people's pockets, That's where I have my fun, I don't suppose you've seen me, I'm too tiny to detect; Though I'm with you all the time, I doubt we've ever met. Before I was an angel, I was a fairy in a flower: God, Himself, hand-picked me, And gave me angel power. When He tucked me in your pocket, He blessed you with angel care; Then told me never to leave you, And I vowed to always be there"
Can be personalised with one initial letter. Please select the option on the drop down menu at ordering.